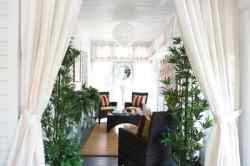 There is a decorator show home going on that is interesting to take a look at and get some ideas for your own home. Many of the rooms are over the top and not my personal taste, but most rooms are worthy of taking some aspect of the design as inspiration for incorporating into your own taste. 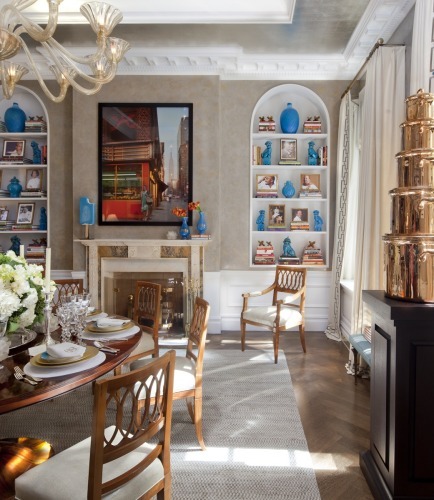 This dining room by Cullman & Kravis in the New York Kip's Bay Decorator Show House is formal and fun with it's turquoise ceramic accents. The Shippen Design Show House has design more to my personal taste. 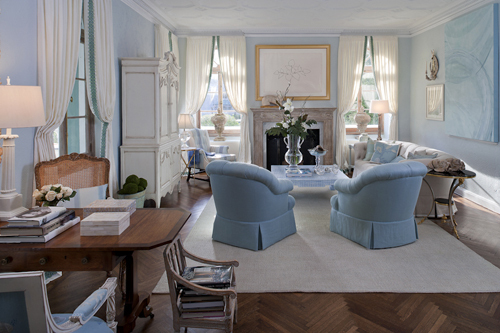 This show house is based in Stamford, Connecticut and features a lovely formal living room by Jack Fillips. The Cape May Show House this year is a bed and breakfast that was designed. Bedrooms were not part of the show since it is still an operating B and B. The New Jersey show house is over now, but will be decorated for the holidays and reopened for viewing November19- January 2. Are there any other decorator show homes going on now that people should know about? Comment and let everyone know. I think the Hamptons' one is over, although that runs pretty long. I always say I'm going to go but never do get there.